What is Toenail Fungus? – I Need Answers! You have heard all of this talk about toenail fungus! Well… What is toenail fungus? Toenail fungus is actually a type of infection. It can occur within a toenail and is one of the most common diseases or disorders that affect a toenail. In fact, this condition alone makes up over 50% of all nail conditions. This problem impacts an astounding number of people (estimated at about 10% of the entire adult population). Do not worry… You are not alone!!! Estimates show that roughly 1 out of 10 of your friends and family members may be suffering from this exact problem! The same fungus that causes toenail fungus can also cause an identical infection within both the fingernails and the feet in general. Typically, this is just called nail fungus when the fingernails are involved and foot fungus (a.k.a. Athlete’s Foot) when the skin of the feet are infected. What is Onychomycosis? Onychomycosis Definition. Onycho what?!?!? What is onychomycosis? The medical term for toenail fungus (or nail fungus) is onychomycosis… I know… crazy, long name! Official onychomycosis definition: Fungal infection of the fingernails and/or toenails. Now… that’s much easier to say, right? For completeness sake only (or to make you sound really smart at a family gathering), nail fungus (whether on the feet or hands) can also be referred to as tinea unguium. This type of infection occurs underneath the nail plate (surface of the nail) and is caused by… fungi (duh?!? !… Fungal toenails!!!) and sometimes yeast. These tiny, microscopic organisms (fungi) enter this area through tiny little cracks or cuts in your skin. These cracks or cuts may be so small that you are even unaware that they exist! Once the fungi make contact with this area, they take hold and the problem begins. Can Toenail Fungus Cause Pain? We will get more into symptoms of toenail fungus later, but I feel I must brief a little on this here! Once the fungi implant in the area underneath the nail plate it begins to multiply rapidly. 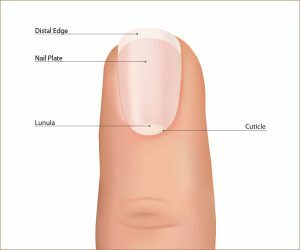 Over time, the nail may either develop white spots or become yellow or darker in color and often slowly increases in thickness. After some more time, crumbly stuff (we call debris) can form underneath the nail. A foul odor can even eventually present at the location of the infection. 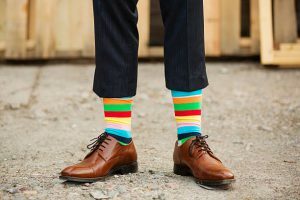 Usually in the beginning, pain related to this condition is non-existent; but, once this infection gets out of control pain is likely to present and can even progress to the point where your ability to work or even walk when wearing shoes becomes impaired! This is hard to believe, but trust me… I have seen toenail fungus get to this point when treating patients in my office!!! Toenail fungus usually begins in only one nail but is capable of spreading to other nails and even on to the skin! Because onychomycosis only progresses without treatment, other, more serious, complications such as a secondary bacterial infection can occur. These more advanced conditions may even put you at risk for amputation (loss of limb). As stated above, nail fungus is more prevalent in toenails versus fingernails, although both can become infected. Toenails are often the most affected by this condition because we wear shoes and socks!!! This puts your toes in a dark, warm, moist environment which is where fungi thrive! You can read more about how to prevent fungus from taking over your shoes by clicking HERE. To complicate matters with your toes, our circulation (blood flow) is usually less in your toes versus your fingers and our body’s immune system has a more difficult time detecting the fungi to produce an immune response to fight the infection. Believe it or not… there ARE products called circulation boosters which can increase the circulation to your feet and legs. Please click HERE to read about how circulation boosters work and for a review on my favorite circulation booster! Do You Think You Have Toenail Fungus? You now know all of these facts surrounding toenail fungus, but what are you supposed to do if you actually have it? I will discuss treatment options for toenail fungus in great detail in my post, “Treatment Options for Toenail Fungus – How Do I Get Rid of This?“, but… I do want to stress that the most important element involved in the treatment of this condition is early treatment with a reliable product! While I do have one favorite product that I recommend to fight toenail fungus, there are currently THREE products that I do routinely recommend to treat this condition that have a proven success rate! You can review ALL THREE of these by clicking HERE! There is no excuse to let your toenail fungus spiral out of control! Thank you for visiting my site and I sincerely hope that you have learned something new through your visit. Wonderful article!!! My husband has a problem like this with one of his big toes. He is not trusting any doctors with it and reading your article and what can be done to get rid off this problem is amazing. I just have to get him on board to try out one of the three products that you are offering. I certainly have bookmarked your site. Yes ma’am… get him on board! He will not be disappointed with the results of any of the three products that I recommend to treat toenail fungus! He just needs to decide how he prefers to treat this condition and get on it. My patients just rant and rave about all of them! Remind him that the longer he waits, the worse it will get AND eventually will start spreading. Thanks for getting to the site… I’m so glad you found it useful! If you have any questions or concerns feel free to comment any time and I’ll get back to ya!!! Have a fabulous afternoon!! Glad to help!!!! Yes ma’am….get him on board! He will not be disappointed! My patients just rant and rave about it!!! Remind him that the longer he waits, the worse it will get AND eventually will start spreading!!! Thanks for getting to the site….I’m so glad you found it useful!!! If you have any questions or concerns feel free to comment any time and I’ll get back to ya!!! Have a fabulous afternoon!! Very informative post, so thank you! It came to me at the perfect time as well. My mom has a toe where one of her nails is thick, yellowish, and looks like there is crumbly stuff underneath it. When she showed me I told her it’s probably a fungus; go to the doctor! Absolutely I can help!!! About 20% of the time my nail biopsy results would come back as no fungal growth!!! Crazy, right? We call this a False Negative result. The only reason I ever performed these was for insurance verification purposes when patient’s absolutely requested prescription treatment. Usually these False Negative results appear due to several possibilities. Sometimes an inadequate biopsy was performed meaning the correct section of the toenail was not clipped and sent in. Other reasons can include loss of fungal matter in transfer of the biopsy and/or too small of a specimen was obtained. Anyways…the results of these biopsies are worth a grain of salt. Even with a negative biopsy result this in no way, shape, or form halted my treatment for this condition as a toenail fungus!!! Toenail fungus is a pretty straight-forward diagnosis and the symptoms do not lie!!! So…go ahead and feel confident treating as a fungus!!! Even my patient’s with a negative biopsy improved with treatment!!! Thanks for commenting and feel free to comment with any further questions or concerns!!! Have a fabulous day!!! What a blessing to have the insights of a real doctor of podiatry! Thanks for such a brilliant and enlightening post. As a kid, I remember my grandparents had funky toes, just like in the picture above. Now, as I slide down the razor blade of life and rapidly approach 60, I’m determined not to have those funky toes. I’m not sure if this helps, but I go barefoot as often as possible and I drink loads of green tea which has some anti-fungal properties. That’s just my guess on how to keep my feet healthy. So far my toes are funk free. Dr. Baker, what are your thoughts on my simple approach to foot health? The green tea does have some anti-fungal properties and definitely may be benefiting you!!! As far as going barefoot…that is definitely a plus when you are in the right environment. This allows your feet to breath and not stay as moist as they would in socks and shoes (toenail fungus loves a dark, warm, moist environment)!!! However, be careful when you are in public places such as gyms and public pools as this condition is spread rampantly in these environments! In these environments the use of shower shoes are pertinent to avoid contact with this icky disease!!! Thanks for reading and if you have any other questions or concerns please feel free to comment!!! Have a fabulous Friday!!! Oh now I know what toenail fungus are. It is definitely scare to think that you’ll have fungus in your toenails that will cause pain if not treated early. Thanks for sharing this information. I was searching for it in the internet because my dad had problem like this and I hope that this will help him. Thank you for reading!!! Remember to tell your dad that treatment is key to prevent further complications and the pain that I spoke of. Also, after over a decade in practice, I can direct you straight to THE BEST TREATMENTS FOR TOENAIL FUNGUS!!! Please let your dad know about his options! I have had patients try it all and the THREE products that I recommend to combat toenail fungus all really work! If you have any further questions or concerns, please feel free to comment! Have a great Friday!!! This is a very informative post about toenail fungus. I have heard quite a number of friends complain about some of the symptoms you mention but I never knew it was a fungus infection. I have really been educated by this post. Thanks for sharing this knowledge. Thank you for reading and YES… many people have the beginning signs and never relate them to an actual disease. It is a shame as this condition will only progress without treatment! Please see the THREE products that I recommend to combat toenail fungus and refer your friends to this site. I hate to see people waste money on other products that really just do not work!!! Hi there, this is a very nice, informative article… I’ve never heard about this infection but I know a yeast infection is very common.. I used to have the yeast infection on my 2 nails as well 3 years ago.. Always in the summer.. I don’t know why only in the summer…. I was worried that it can spread to others nails but fortunately it didn’t… I hope it won’t appear again… I used antimycotic cream.. Do you think it helps? Absolutely fungus and yeast are very similar and are often diagnosed interchangeably!! In the summer-time our feet tend to sweat more hence providing the thriving environment that fungus and yeast adore!!! Most of the treatments for fungus tend to have yeast fighting properties as well!! So yes…I do think it helps!!! Thank you for visiting the site and please feel free to comment with any further questions and we will get back to you!!! Hey, very useful article 🙂 I know sooo many people who deal with toenail fungus, however most of them are older, over 60. Do you think the incidence of this fungus is higher in aging population? Hey Ashley!!! Absolutely the incidence of nail fungus does increase in the aging population!!! I will try to briefly explain!!! We are often exposed to toenail fungus throughout our life (even our younger years)! This fungus embeds itself within the skin surrounding our nails. Our immune system works tirelessly to prevent an outbreak and is usually very successful at prevention in our younger years. But…as we age and our bodies find other diseases to begin fighting off, our ability to keep the nail fungus contained sort of “becomes less important” and we tend to see the fungus begin to expose itself!! Thank you so much for your interest and should you have any further questions or comments please feel free and we will get back with you!!! Have a great rest of the week!!! Wow! This information is amazing. Everything I wanted to know about nail fungus. I now know why and how I got the infection. I have diabetes and also charcot’s which means that I don’t have much circulation in my feet. I have recently started treating my two big toes with an off-the-shelf treatment that doesn’t really seem to be working. I have bookmarked your site so that I can come back to it and will definitely be purchasing one of your recommended products. Christine… I am so glad that you found my site! Diabetes affects your feet so much AND Charcot can be so scary. Just make sure and heed your doctor’s advice, especially when your Charcot is active… make sure you remain non-weightbearing to limit the long-term complications of disfigurement! Any of the THREE products that I recommend to fight toenail fungus are truly fabulous at clearing up this unsightly problem AND good once it is cleared to prevent re-occurrence! You just have to decide between the three on exactly how you want to tackle the fungus and then select the appropriate product. Thanks again for visiting the sight and should you have any additional questions or comments please feel free to comment and I will get back to you! I found your article very helpful, I was absorbed by the reading! My husband used to work as fishermen many years ago and he was most of the time barefoot and as a result of this, he’s got nail fungus. He tried almost everything and until now he still didn’t get rid of this disease. I will show him this article, I am sure he will find it very helpful! I am secretly hoping that of the three products that you recommend, he will choose the Zeta Clear. I like how this product fights the fungus from both the inside and the outside.Thank you for this excellent article! I am so glad that this information could help you and your husband Daniella! Toenail fungus can be so frustrating! Thanks and have a fabulous Tuesday! Wow. Whewww. lol. Not a pretty sight lol. The feet are a place that many times people forget to take care of. But oh are they important to our everyday life. I have begun to take care of my feet more. I never knew about toenail fungus in such detail. Thanks for the information. Lol! It is NOT pretty when this disease progresses. You are absolutely correct! So many people care for their bodies in so many different ways and then just forget their feet! Our feet are our mode of transportation! They are SO important. Congratulations on being more aware of your feet! I hope that you don’t, but should you develop ANY problems or concerns, feel free to come back and ask any questions! I am definitely here to help people out! Toenail fungus is something that I have suffered with in the past. I usually try to file it right down so that it is not very visible.The long technical word for it, i can’t even pronounce it, makes it look worse than it is. I will be looking at your site again to check some of the remedies you recommend. Andrew… thank you for visiting my site! What you are doing is debriding the nail! ((: I have an awesome tool that I recommend to do this which makes it a LOT easier. It is called the MediCool MED 2191 Turbo File 2 Professional Electric Nail Filing System… just in case you want to look it up. This process of debriding is good to do as it maintains the fungus and aids in from getting out of hand which could lead to further complications! Also… when you get ready to actually treat the fungus (which is VERY important to do because it will only WORSEN with time), I have three products that work wonders… just depending on the style of treatment that you want to perform! Just click HERE to go to my reviews of the products! Again… thanks for visiting and good luck to ya! If you have ANY questions, I am always here to help! Just leave another comment and I will get back with you! I never realized that thick toenails is due to an infection and yes I am one of those who doesn’t pay much attention to my feet other than nail polishing and moisturize it. You talked about what to do when the problem is there but are there ways to prevent this infection (in other words stopping the fungus to enter the territory)? This was very educational for me, so thanks for sharing this and looking forward to more of your articles. Hello Dira and thank you for visiting my post on “What is Toenail Fungus?”. Thick toenails are very common and most are just like you in not realizing that this condition is actually due to toenail fungus. There are definitely ways to prevent toenail fungus from occurring in the first place! First, you must look at the risk factors for toenail fungus. After reviewing how you may be at risk, then you can implement preventative measures. I discuss these in my post on “How to Prevent Toenail Fungus“. Feel free to check it out! There are some amazing ways that you wouldn’t even think of to ensure that you are not subject to this unsightly problem of thick, yellow toenails. Should you have any additional questions please feel free to comment. I truly am here to help!